If you are looking to roll your sleeves up and get to work then you should check out this upcoming live auction for a Dewalt Titanium Drill Bit Set. This drill bit set would be a great way for you to make some holes or make pre existing holes even bigger. This set of drill bits is covered in most precious titanium and have a golden sheen to them. They are located in the United States and can be picked up when you win. 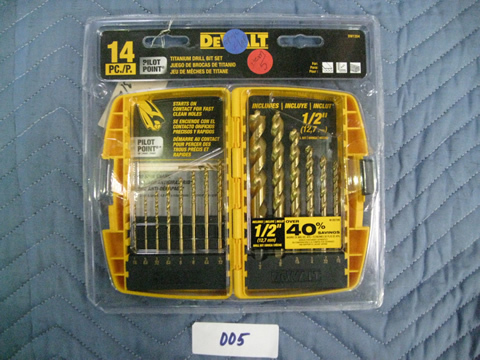 This selection of drill bits comes new in box and would make that handy person in your life. Dewalt is a name you can trust and with their most excellent tools you can break the walls down literally and metaphorically. You can find out more about these items and about many more by checking out your free trial account right now. Get to work with great auctions on DeWalt Power Tools!